Although linguistics provides a useful perspective on L2 learning, it must be remembered that linguistics is only one of the disciplines that SLA research can draw on. With this in mind, this study provides a thumbnail sketch of some currently prevalent theories which try to explain how foreign languages are learned. It, also, spells out some alternatives to the linguistics-based approach to foreign language acquisition research. More specifically, some limitations of linguistic theories in addressing the role of mental processes in L2 acquisition are identified and recent theoretical developments in cognitive psychology that can be applied to L2 acquisition are outlined. Moreover, this study reports the results of an empirical investigation carried out by the author on 200 Egyptian University students enrolled in the department of English, Faculty of education, Minufiya University. They were divided into two groups according to their academic status: 1) Beginners (N=100); and 2) Advanced learners (N=100). It attempts to answer three interrelated questions: 1) to what extent does the advanced students’ performance in listening tasks differ from that of the beginning students before and after training? 2) how can two types of training (intensive listening vs. improving learners’ linguistic skills) affect L2 learners’ listening comprehension skill?, and 3) what does students’ performance, before and after the training, tell us about their abilities to transfer? The instruments used are (1) pre-test; (2) classroom instruction sessions; (3) post-test, and (4) interviews. The data analysis has a quantitative and a qualitative, interpretative part. Results are obtained and discussed, and pedagogical applications are suggested. Adjemian, C. 1976. On the Nature of Intel-language Systems. Language Learning 26: 297-320. Anderson, J. 1982. Acquisition of Cognitive Skill. Psychological Review 89(4): 369-406. Anderson, J. 1983. The Architecture of Cognition. Cambridge, MA: Harvard University Press. Anderson, J. 1985. Cognitive Psychology and Its Implications. New York: Freeman. Anderson, J. 2009. Cognitive psychology and its implications. Seventh Edition, NY: Worth Publishers. Anderson, R. 1984. Some Reflections on the Acquisition of knowledge. Educational Researcher. 13(9): 5-10. Atkinson, D. 2011. Alternative approaches to second language acquisition. Routledge, London and New York. Ausubel, D. 1962. A Subsumption Theory of Meaningful Verbal Learning and Retention. Journal of General Psychology. 66: 213-224. Ausubel, D. 1963. The Psychology of Meaningful Verbal Learning. New York: Grune and Stratton. Bialystok, E. and Ryan, E. 1985. A Metacognitive Framework for the Development of First and Second Language Skills. In Forrest-Pressley; Mackinnon, G. and Gary Waller, T. (eds. ), Metacognition. Cognition and Human Performance. Orlando, FL: Academic Press. Bloomfield, A., Wayland, S., Blodgett, A. & Luck, J. 2010. Factors related to passage length: Implications for second language listening comprehension. University of Maryland, College Park 2317-2322. Boden, M. 2006. Mind as machine: A history of cognitive science. Oxford: Charendon Press. Bransford, J. and Franks, J. 1976. Toward a Framework for Understanding Learning. In Bower, G. (ed. ), Psychology of Learning and Motivation (vol. 10). New York: Academic Press. Bransford, J. and Johnson, M. 1972. Contextual Prerequisites for Understanding: Some Investigations of Comprehension and Recall. Journal of verbal Learning and Verbal Behavior 11: 717-726. Byrnes, H. 1984. The role of listening comprehension: A theoretical base. Foreign Language Annals 17: 318-330. Call, M. 1981. Auditory Short-term Memory, Listening Comprehension, and the Input Hypothesis. TESOL Quarterly 19(4): 765-781. Chang, A.C.S. 2008. Listening strategies of L2 learners with varied test tasks. TESL Canada Journal 25(2): 1-26. Chomsky, N. 1964. Current Issues in Linguistic Theory. The Hague. Mouton. Chomsky, N. 1965. Formal Discussion: The Development of Grammar in Child Language. In Bellugi, U. and Brown, R. (eds. ), The Acquisition of Language. Lafayette, Ind. : Purdue University Press. Chomsky, N. 1980. Rules and Representations. Oxford: Basil Blackwell. Chomsky, N. 1981. Principles and Parameters in Syntactic Theory. In Homstein, N. and Lightfoot, D. (eds.). Explanations in Linguistics. London: Longman. Chomsky, N. 1986. Knowledge of Language: Its Nature. Origin, and use. New York: Praeger. Chomsky, N. 2007. Language and thought. Descartes and some reflections on venerable themes. In A. Brook (Ed. ), The Prehistory of Cognitive Science. Oxford: Oxford University Press. Chomsky, N. and Halle, M. 1968. The Sound Pattern of English, New York: Harper and Row. Cook, V. 1985. Language Functions, Social Factors, and Second Language Teaching. IRAL, 13(3): 177-196. Cook, V. 1993. Linguistics and Second Language Acquisition. The Macmillan Press LTD.
Corder, H. 1967. The Significance of Learners’ Errors. Oxford: Oxford University Press. Corder, S. 1967. The Significance of learners' errors. International Review of Applied Linguistics 4: 161-169. Costall, A., 2007. Bringing the body back to life: James Eibson’s ecology of agency. In T. Zienke, J. Zlatev, R. Frank (Eds.). Body, Language and Mind, vol. 7 (pp. 55-83). Amsterdam: Mouton de Gruyter. Crystal, D. 2003. A dictionary of linguistics and phonetics (5th edn.). Maladen, MA: Wiley-Blackwell. Davis, K. 1995. Qualitative theory and methods in applied linguistic research. TESOL Quarterly 29: 427-454. Doughty, C. & Long, M. 2003. The scope of inquiry and the goals of SLA. In C. Doughty & M. Long (Eds.). Handbook of Second Language Acquisition (pp. 3-16). Malden, MA: Blackwell. Dulay, H., Burt, M., and Krashen, S. 1982. Language Two. Rowley, Mass. : Newbury House. Ellis, R. 1986. Understanding Second Language Acquisition. Oxford: Oxford University Press. Elkhafaifi, H. 2005. Listening comprehension and anxiety in the Arabic language classroom. The Modern Language Journal 89: 206-220. Ellis, R. 1988. The Role of Practice in Classroom Learning. AJLA Review, Vol. 5:20-39. Field, J. 2008. Bricks or mortar: Which parts of the input does a second language listener rely on? TESOL Quarterly 42: 411-432. Flavell, J. 1979. Metacognition and Cognitive Monitoring: A New Area of Cognitive-developmental Inquiry. American Psychologist 34: 906-911. Flavell, J. and Wellman, H. 1977. Metamemory. In Kail, R. and Hagen, J. (eds.). Perspectives on the Development of Memory and Cognition. Hillsdale, NJ: Lawrence Eribaum Associates. Gass, S. 1989. Introduction (pp. 1-9). In Gass, S. and Schachter, J. (eds.). Linguistic Perspectives on Second Language Acquisition. Cambridge University Press. Goh, C. 2000. A cognitive perspective on language learners’ listening comprehension problems. System 28(1): 55-75. Goh, C. 2008. Metacognitive instruction for second language listening development: Theory, practice and research implications. RELC Journal 39: 188-213. Graham, S. 2003. Learner strategies and advanced level listening comprehension. Language Learning Journal 28: 64-69. Greenberg, J. 1966. Universals of language. Cambridge, Mass. : MIT Press. Gregg, K. 1989. Second Language Acquisition Theory: The Case for a Generative Perspective. In Gass, S. and Schachter, J. (eds.). Linguistic perspectives on second Language Acquisition. Cambridge University Press. Hasan, A. 2000. Learners’ perceptions of listening comprehension problems. Language, Culture and Curriculum 13: 137-153. Hatch, E. and Hawkins, B. 1985. Second Language Acquisition: An Experiential Approach. In Rosenberg, S. (ed. ), Advances in Applied Psycholmsmatics Vol. (2). New York: Cambridge University Press. Huang, J. 2005. Challenges of academic listening in English: Reports by Chinese Students. College Student Journal 39: 553-569. Ito, Y. 2001. Effect of reduced forms on ESL learners’ input¬ Intake process. Second language studies 20(1): 99-124. Kemp, J. 2010. The listening log: Motivating autonomous learning. ELT Journal 64(4): 385-395. Kim, S. 2006. Academic oral communication needs of East Asian international graduate students in non-science and non-engineering fields. English for Specific Purposes 25: 479-489. Krashen, S. 1979, The Monitor Model for Second Language Acquisition. In Gingras, R. (ed. ), Second Language Acquisition and Foreign Language Teaching. Washington, D.C., Center for Applied Linguistics. Krashen, S. 1981. Second Language Acquisition and Second Language Learning. Oxford: Pergamon Press. Kurita, T. 2012. Issues in social language listening comprehension and the pedagogical implications. Accents Asia 5(1): 30-44. Larsen-Freeman, D. 2007. Reflecting on the cognitive – social debate in second language acquisition. Modern Language Journal 91: 773-787. MacWhinney, B. and Anderson, J. 1986. The Acquisition of Grammar. In Gopnik, L and Gopnic, M. (eds.). From Models to Modules to Modules. Norwood, NJ: Ablex. Markman, E. 1981 Comprehension Monitoring. In Dickson, W. (Ed. ), Children's Oral Communication Skills. New York: Academic Press. Mazurkewich, I. 1984a. The Acquisition of the Dative Alternation by Second Language Learners and Linguistic Theory. Language Learning 34: 91-109. Mazurkewich, I. 1984b. Dative questions and Markedness. In Eckman, F.; Bell, L. and Nelson, D. (eds. ), Universals of Second Language Acquisition. Rowley, MA: Newbury House. McLaughlin, B. 1987. Theories of Second Language Learning. London: Arnold. Miller, G., Galanter, E. and Pribram, K. 1960. Plans and the Structure of Behavior. New York: Holt, Rinehart and Winston. Mitchell, R. and Myles, F. 1998. Second Language Learning Theories. London: Arnold. Moravesik, J. 1979. Understanding. Dialectica 33: 201-216. Moyer, A. 2006. Language contact and confidence in second language listening comprehension: A pilot study of advanced learners of German. Foreign Language Annals 39(2): 255-275. Norman, D. 1978. Notes Toward a Theory of Complex Learning. In Lesgold, A., Pellegrino, J. and Fokkema, S. and Glaser, R. (eds. ), Cognitive Psychology and Instruction. New York: Plenum Press. Noro, T. 2006. Developing a construct model of "listening stress": A qualitative study of the affective domain of the listening process. Annual Review of English Language Education in Japan 17: 61-70. O'Malley, J., Chamot, A., Stewner-Manzanares, G., Kupper, L. and Russo, R. 1985b. Learning Strategy Applications with students of English as a Second Language. TESOL Quarterly 19: 285-296. O'Malley, M.; Chamot, A. and Walker, C. 1987. Some application of cognitive theory to second language acquisition. SLA 9: 287-306. Osada, N. 2004. Listening comprehension research: A brief review of the past thirty years. Dialogue 3: 53-66. Resmck, L. 1984. Comprehending and Learning: Implications for a Cognitive Theory of Instruction. In Mandl, H Stein N. and Trabasso, T. (eds. ), Learning and the Comprehension of text. Hillsdale, NJ: Lawrence Eribaum Associates. Ritchie, W. and Bhatia, T. 1996. Second Language Acquisition: Introduction, Foundations, and Overview in Ritchie W. and Bhatia. T. (eds.). Handbook of Second Language Acquisition. Academic Press. Inc.
Robinson, P., 2001. Cognition and Second Language Instruction. New York: Cambridge University Press. Rost, M. 2006. Areas of research that influence L2 listening instruction. In E. Uso-Juan & A. Martinez-Floc (Eds. ), Current Trends in the Development and Teaching of the Four Language Skills (pp. 47-74). New York: Mouton de Gruyter. Rumelhart, D. and Norman, D. 1978. Accretion, Tuning, and Restructuring: Three Modes of Learning. In Cotton J. and Klatzky, R. (eds. ), Semantic Factors in Cognition. Hillsdale, NJ: Lawrence Eribaum Associates. Sadighi, F. Sare, Z. 2006. Is Listening comprehension influenced by the background knowledge of the Learners? A case study of Iranian EFL learners. 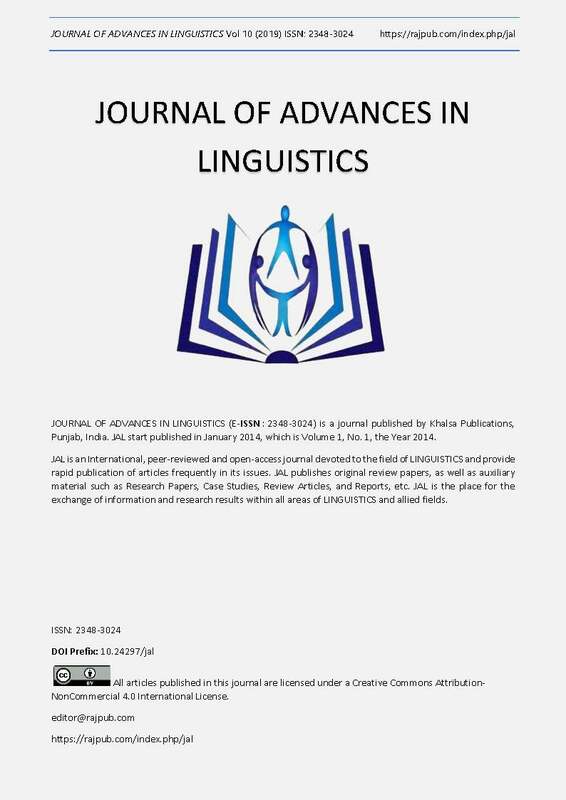 Linguistics Journal 1(3). Schmidt-Rinehart, B. 1994. The effects of topic familiarity on second language listening comprehension. Modern Language 78(2): 179-189. Schumann, J. 1990. Extending the Scope of the Acculturation / Pidgmization Model to Include Cognition TESOL Quarterly (24), No. 4:667-684. Selinker, L. 1972. Interlanguage. International Review of Applied Linguistics. 10(3). Shiffrin, R. and Schneider, W. 1977. Controlled and Automatic Human Information Processing: Perceptual Learning, Automatic Attending, and a General Theory. Psychological Review (84): 127-190. Shohamy, E. & Inbar, O. 1991. Validation of listening comprehension tests: The effect of text and question type. Language Testing 8(1): 23-40. Shuell, T. 1986. Cognitive Concepts of Learning. Review of Educational Research (56): 411-436. Sloan Foundation (1978). Cognitive Science, 1978: Report of the State of the Art Committee. New York: Sloan Foundation. Stahr, L. 2009. Vocabulary knowledge and advanced listening comprehension in English as a foreign language. Studies in Second Language Acquisition 31: 577-607. Stevenson, H. 1983. How Children learn-The Quest for a Theory. In Mussen, P. (Ed. ), Handbook of child Psychology: vol. (1) History, Theory, and Methods. New York: Wiley. Vandergrift, L. & Tafaghodtari, M. H. 2010. Teaching L2 learners how to listen does make a difference: An empirical study. Language Learning 60: 470-497. Vandergrift, L. 2003. From prediction through reflection: Guiding students through the process ofL2 listening. The Canadian Modern Language Review 59 (3): 425-440. Vandergrift, L. 2007. Recent developments in second and foreign language listening comprehension research. Language Teaching 40: 191-210. Vandergrift, L. 2008. Listening comprehension for second language learners. Language Teaching 42: 26-39. Wallace, B. 2007. Introduction. In B. Wallace, A. Rose, J. Davies & T. Anderson (Eds.). The Mind, the Body and the World. Psychology After Cognitivism (pp. 1-32). Exeter: Imprint Academic. Weinstein, C. and Mayer R 1986. The Teaching of Learning Strategies. In Wittrock, M. (ed. ), Handbook of Research on Teaching. New York: Macmillan. Wheeler, M. 2005. Reconstructing the cognitive world. The next step. Cambridge, MA: MIT Press. White, L. 1981. The Responsibility of Grammatical Theory to Acquisitional Data. In Homstein, N. and Lightfoot. D. (eds), Explanations in Linguistics: The Logical Problem of Language Acquisition. London: Longman. White, L. 1989. Against comprehensible input, the input hypothesis of L2 competence. Applied Linguistics 8, 95-110. Wittrock, M. 1974. Learning as a generative process. Educational Psychologist 11: 87-95. Wittrock, M. 1978. The cognitive movement in instruction. Educational Psychologist 13: 15-29. Zeng, Ya-Jun 2007.Schema theory and its application in teaching listening from English major undergraduates. Sino-US English Teaching 4(6): 32-36. Zhang, 2006. Effect of schema theory and listening activities on listening comprehension. Sino-US English Teaching 3(12): 28-31.